We just returned from survived our first vacation with a toddler. It was busy and a little stressful at times, but otherwise wonderful! 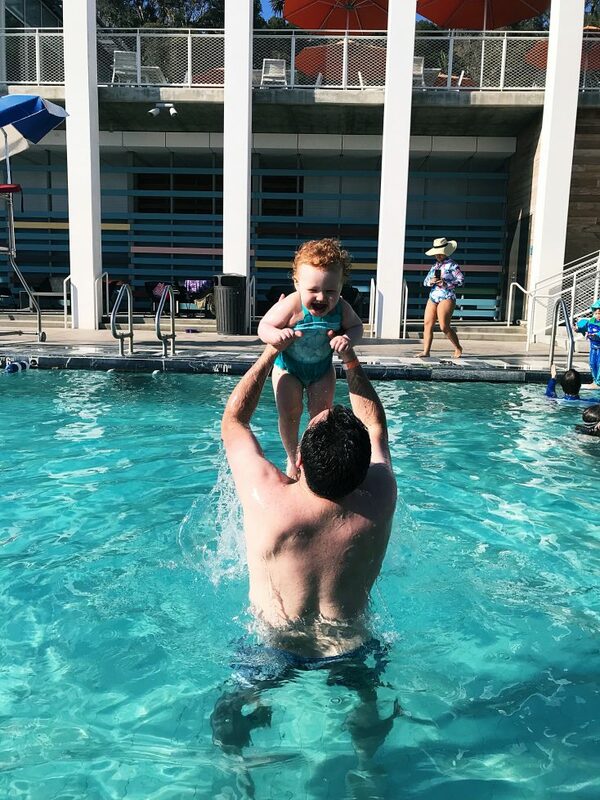 Although the experience was different from our previous adults-only vacations, I found I enjoyed trying to think of things that Freya might like to do at our destination. I adore California and we hadn’t been in years so I had been looking forward to this trip since we first heard that Jeff’s younger brother was getting married over a year ago. 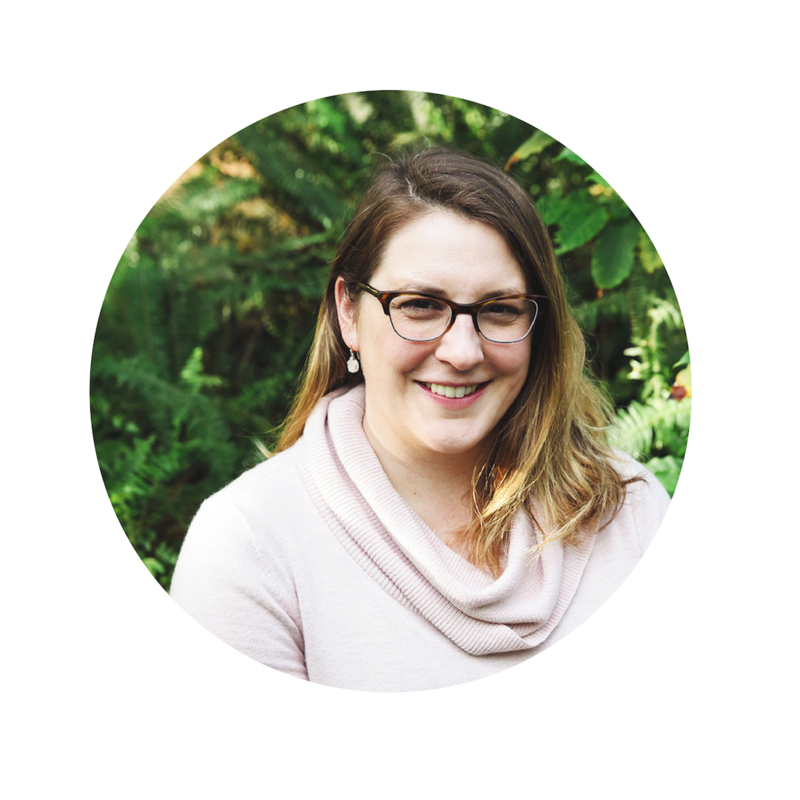 As a chronic over-packer I spent months trying to strategize our packing, especially considering that this time we had to bring baby gear too. I began by slowly accumulating ahead of our trip, like a great second hand travel crib (Baby Bjorn) and these awesome packing cubes. And similar to my glamping strategy, I found that all the stress and preparations helped me in the end. 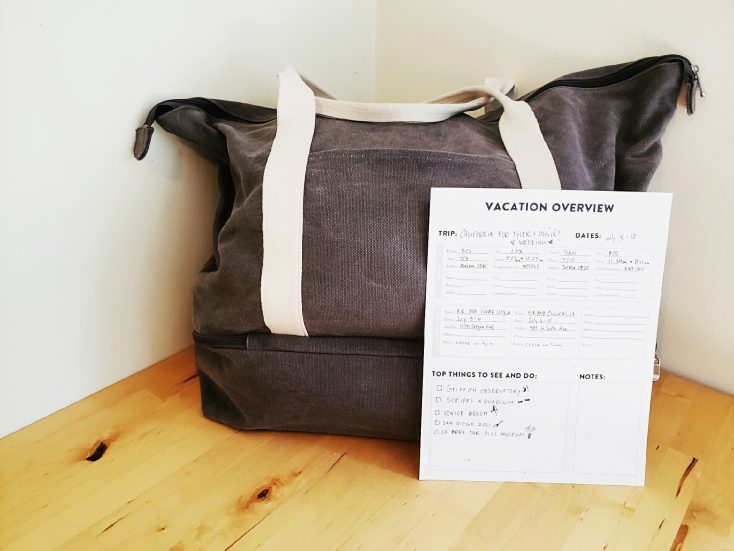 As part of my packing process, I also created a trip planner and packing list to get organized, and I am so happy to share it here in case it could help you plan your fun summer vacations. 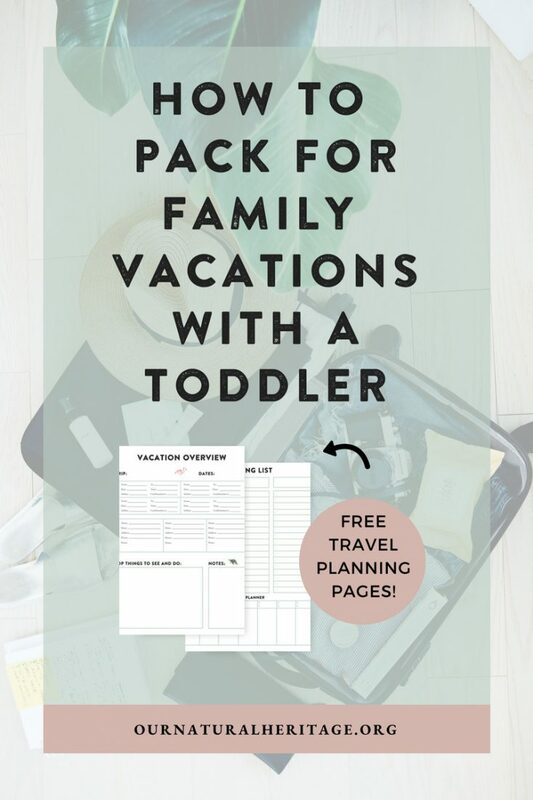 You can sign up below to access the travel planner and packing list in our free family fun library! Please note this post may contain affiliate links to items that we’ve used and loved. On the front side of the trip planner is a space for all of your important logistical information, including a space to list information for up to four flights, and three accommodations. There are so many great trip planning apps these days, but sometimes it’s nice to have it all in once place. I also I found that it was easy to make a copy of this and share it with our parents and dogsitter. The travel planner also has a place for random notes, and a place to write down some of your “must-see” items. One of the things my husband has taught me about travel is to leave room for rest and spontaneity. Some of my favorite memories from vacations with him were created when we stumbled across a beautiful coffee shop and just watched the local scene for a bit, or decided to pull the car over at a trail head that lead to amazing views. Now I know to pick out a few highlights I really want to see at a destination, but not plan every hour of every day. On the back side of the planner is a space to help you really strategize your packing. From previous vacations, I’ve learned I pack less clothes if I plan my outfits in advance. Towards the bottom of the sheet, there is a place to note the weather and your outfits for a week. 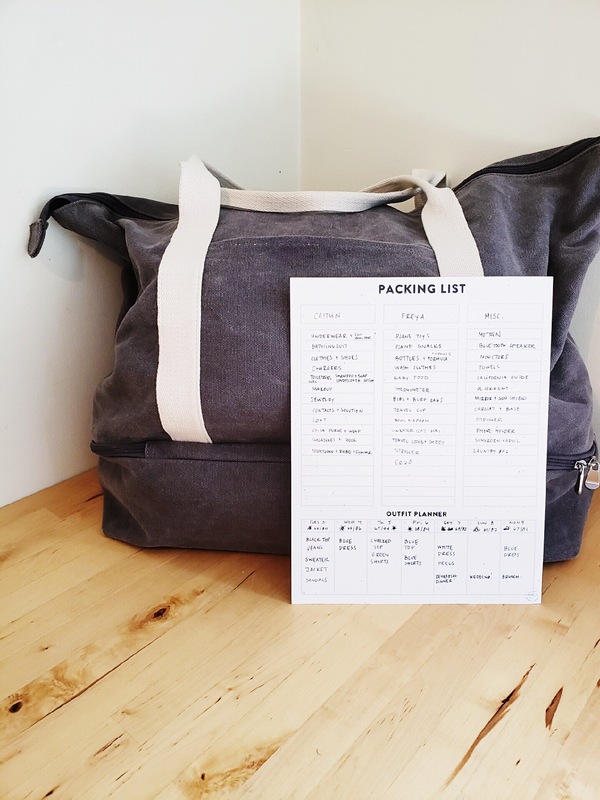 Three blank lists allow you to make a three packing lists, perhaps for each family member, or for each piece of luggage. The following three questions can guide you as you prepare for traveling with a baby or toddler and their stuff. What do you truly need to pack? I really like having my own stuff. I wanted to try to recreate our life and routines at home as much as possible once we were in California, for my sake as much as for Freya’s. This means I wanted to bring my own stroller and car seat which maybe made things a little harder at the airport, but I thought it was worth it. But to others, renting a car seat once you arrive and buying a cheap stroller just for the trip would have been an easier way to travel. Also consider what you might be able to ship ahead of time or rent or buy once you arrive (e.g. diapers!). Finally, if your accommodations include laundry facilities, you can bring less clothes. Decide what you can physically handle and then make everything fit in those spaces. The number of hands you have free is your limiting factor. I visualized the entire process we would go through, from being dropped off at the airport, getting through security, boarding the plane, picking up our rental car, etc, and how we could possibly carry everything. In the end we each brought a backpack as a carryon, checked the baby’s travel crib and a large rolling suitcase, brought her carseat on the plane, and gate-checked our stroller. You could rent a luggage cart of course, but I was trying to avoid having more bags than we could handle between the two of us. The Eagle Creek Packing Cubes I bought were a huge help in fitting everything into the large suitcase. I also loved that they served as little drawers once we arrived, keeping everyone’s clothes separate and easy to pack up again. Another great tip is to use a baby carrier in the airport, and use your stroller as a sort of luggage cart. How will you entertain your toddler on your trip? I read a lot of blog posts from my favorite traveling families and their advice was so helpful. Make sure you bring lots and lots of of snacks, especially things that can be eaten one a time, like puffs, yogurt melts, etc. We are slowly weaning Freya off of bottles, so I only brought two for the plane, but really regretted it when she sucked them both down at takeoff! I would bring at least double what you think you might need. I also bought a few new small toys and wrapped them like gifts, some favorites were these pipSquigz, a new Llama Llama Board Book, and these stacking cups. I also followed the genius advice from this great post about having one person set up everything on the plane, while the other lets the baby run around near the gate until boarding is almost finished. * if you are impressed like I was with all we fit in here, I must admit the suitcase was over the weight limit on one flight and we permanently broke a wheel so . . .there’s that. Also, I heard that Samosonite doesn’t make a suitcase that large anymore. I bought a stroller bag and tried to wrap the top part of the stroller in a towel before I put it in the bag to protect it, luckily it came through OK! Jeff pre-boarded with the other families, gatechecked the stroller and carried the car seat on board to set up while I waited until the last minute to board with Freya. 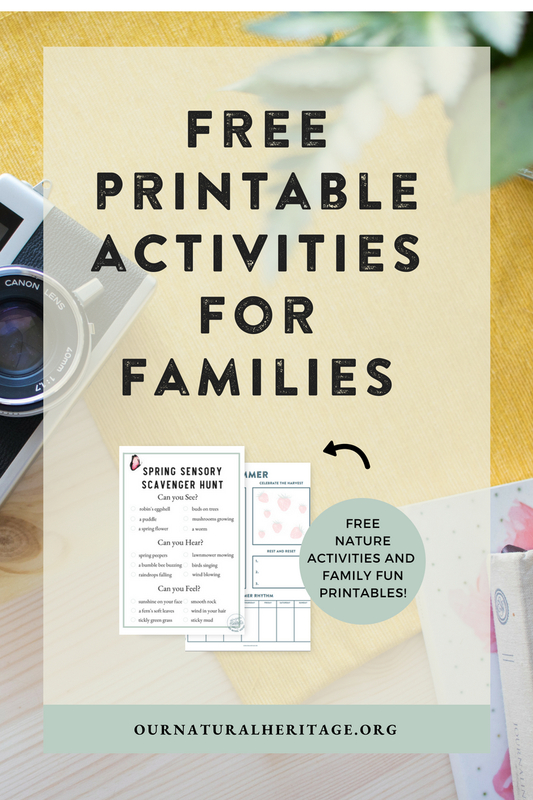 Our Travel Planner Page is available in our Free Family Fun Starter Pack! « Introducing the Our Natural Heritage Naturskola!